I began my Real Estate career over 15 years ago and made the decision to expand my business to Nevada in 2003. Since arriving in Southern Highlands in 2004 I have been actively involved in the Real Estate market as well as the local community. I have had a firsthand view of the evolution of our market, from the crazy days of the early 2000’s, to the difficult recession of the late 2000’s to the current recovery and resurgence that we are experiencing today. Throughout all the different market developments I have found a way to be successful and to help my clients successfully navigate these varying market conditions. I have been a multi-million dollar producer since my arrival in Las Vegas. I have sold millions of dollars in real estate to both home owners and investors. Whether you are looking for your first home in Las Vegas or wanting to add that something special to your real estate portfolio I am your go to agent, with the knowledge and expertise to make your buying or selling experience the best it can be. Simply put, I love my job and I enjoyed helping my clients have the best transaction experience possible. I am extremely passionate about real estate and treat every transactions as though it were my own. I have assisted a significant number of clients and cultivated many wonderful relationships over the years. I believe in honesty, integrity, commitment and most important trust are key to a successful partnership. I pride myself on being extremely patient and having the distinct ability to listen to ones needs without adding pressure, I value my client’s wishes and respect specific requests. It is my personal goal to make sure each and every one of my buyers and sellers have the most positive and stress free experience when buying or selling.  With the market knowledge I have obtained over the years, I’ve introduced my clients to a variety of wonderful communities throughout the Las Vegas and Henderson areas: Southern Highlands, Summerlin, MacDonald Highlands, Seven Hills, Anthem, Green Valley, Mountains Edge, Rhodes Ranch, etc., they now call these communities…HOME. I’m an extremely active person, my hobbies include: golfing, biking, running and walking. I very much enjoy the day to day interaction with people and giving back to the community. In 2005 my family and I were given the devastating news that our father was diagnosed with ALS (Amyotrophic Lateral Sclerosis), also known as Lou Gehrig’s Disease. This came with such a surprise being that he was always an incredibly healthy person. He lived life to the fullest and was more than willing to give a stranger the shirt off his back. We are extremely passionate and actively involved in raising awareness to find a cure for this horrible disease. This is a clip of my family doing the “ice bucket challenge.” I encourage everyone to get involved in their community and do something you love and are passionate about! I welcome the opportunity to assist you, your family and friends with their real estate needs. You have my word your best interest are always number one with me.